Update: An earlier version of this post incorrectly stated that the Nexus 4 was also receiving the update. At this point, the Nexus 4 has not yet received the update. Nexus 7, Nexus 10 and Galaxy Nexus owners should be on the lookout for the Android 4.2.2 update rolling out according to a report out of Reddit. There’s no word on what the build (JDQ39) entails, but Google did promise a fix to the Bluetooth A2DP audio streaming issue in the “next release” of Android software. Android Police has confirmed the rollout with a number of their readers via Google+ and says the update weighs in around 47.6MB. Our guess is that this is a standard “performance enhancement and bug fix” update, but we’ll keep an eye out for any notable changes. Bring it on, been waiting on this. This is what getting a pure Google device is about. Be the first to get the updates, fixes and improvements. Google botches these updates. All compatible Nexus phones should get these updates all at once. The N4 especially should be at the front of the line with the newest updates. Same here nothing so far. I wonder if I’ll still get it since I’m on CM10.1, I’m thinking prolly not. At the same time, I don’t know that I care that much. Meh Shrugs. Nope, you do not get official OTA updates if you’re using a custom ROM. Your device needs to be pretty much 100% stock. There is a way to force the update. I’ve done it several times before. Just clear the “Google Services” within Apps Setup.. If you’re not familiar with it, you probably shouldn’t mess with it. Leave it as be till your turn comes to update. If you know how, just say it. Or say you don’t know…lol, don’t tell that person not to mess up their device. They paid for it. You don’t know, you don’t know. Lol, I do know actually. I dev’d a little on XDA. After seeing how hard it is for people to follow steps correctly, mess up their device, and then help them fix it, it’s better for people that aren’t familiar to learn about it themselves, rather than just being told what to do. Watch this great example of what goes down on XDA and similar sites DAILY. Lol? At least try and make correct sentences. Typical response, I understand how you must feel though. But you will get over it. Weird glitch on my nexus 4 they should fix.if your in gallery and slide to the camera and slide back to your photos.everywhere u touch the flash comes on.its still thinking your trying to take a photo? That’s a really weird bug. Have you tried a factory reset? Does this update break the hidden LTE? Androidcentral.com says that this doesn’t include the nexus 4. They have never supported Wi-Fi calling, why would they just because you request it? Novel concept….respond to consumer requests and add additional features. I worked for a company that did that for one of their point of sale systems. The largest customers were able to add their own enhancements to their system. It was a giant clusterf**k. I don’t recommend it. Ingenico, by chance?…I’ve had to support a POS for a large user of that brand and their internal “enhancements” crashed the device frequently. Nope. A floral wire service company, the one with a dove as their logo. Except that would literally defeat the purpose of a Nexus device. Any carrier apps/functionality that is added to a phone, delays updates and bug fixes. The Nexus line is all about excluding the middle man, whether it be T-Mobile, AT&T, etc. That’s a T-Mobile add on. The nexus devices don’t support WiFi calling. possibly out in May or in summer. Come on T-Mobile, please hurry with the LTE Advanced roll out so I can go to my hidden settings and activate my LTE on my LG GN4! So they have a mugen extended battery for the HTC One X and non for the LG Google Nexus 4? I don’t care about the bulkiness, I just want to have more time to enjoy my LG GN4. And when LTE Advanced is out, it’s going to drain the battery like crazy. 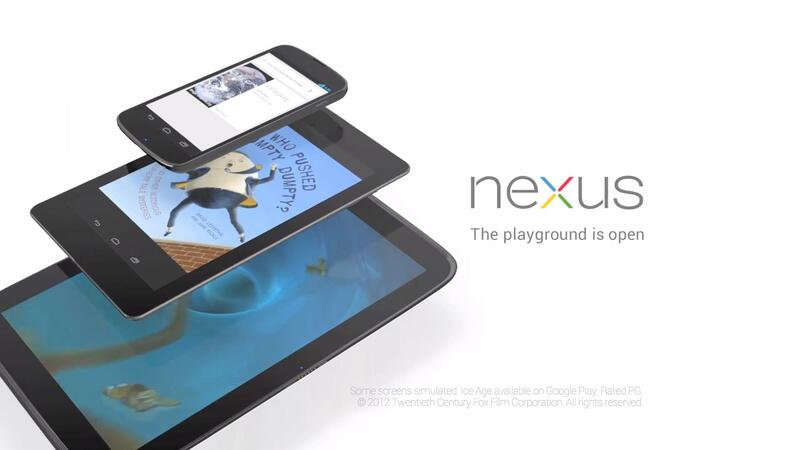 Anyone use the multi-user feature with the Nexus 10…opinions? Kinda off topic but what if Samsung or LG took their 5.5 inchers and made a nexus device out of them? You would get pure Google on a phablet, getting updates first on premium hardware. I’d buy it! That would be cool. But I don’t think I’ll buy a phone that is more than 5 inches anymore lol. If LG or Samsung makes a Nexus devices, I hope it would have a 5 inch screen, 10-16mp camera, 3500-4500mAh battery and the ability to move your apps to your SD card or just have 32-64GB of internal storage. Now, I would totally buy that lol. And it still vibrates when I get an email even though I say to NOT VIBRATE. This has been going on since 4.2.1 and they still haven’t corrected this? I don’t want it to vibrate when I get an email. So dumb that it uses the global settings instead of the individual app settings for that crap.